Perimenopause is defined as the years preceding menopause, and is generally when woman experience the most menopause symptoms. Perimenopause has many possible symptoms, including low energy levels, fatigue, weight gain, and hot flashes. These sensations can seem embarrassing and distressing and lead women to hunt out ways of finding relief. 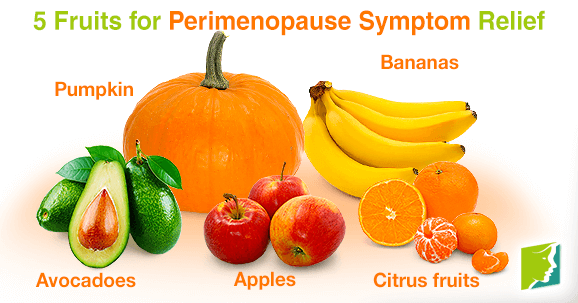 Read on to discover some of the best fruits for perimenopause relief. Eating the “good fat” found in avocadoes is key to increasing overall health. Preliminary research has shown that the soluble fiber found in avocadoes can help to increase estrogen levels. Eating avocadoes therefore, can help women to rebalance their hormonal levels and reduce the frequency of mood swings and the likelihood of depression. Avocadoes also moderate appetite, which means consuming them leaves you less likely to fall victim to the dreaded menopausal weight gain. The high vitamin C and flavonoid content in citrus fruits means that consuming them can help women to combat the perimenopause symptom of fatigue. Although these nutrients can work alone, when eaten together they are known to increase each other's effectiveness. The nutrients present in these fruits can also have a significantly positive impact on other perimenopause symptoms, such as osteoporosis and low energy. Citrus fruits like orange juice, with its calcium and folic acid (vitamin B9) content, are perfect for integrating into your diet for the purpose of alleviating fatigue. The risk of developing osteoporosis increases during perimenopause because of a drop in estrogen levels. Therefore, measures must be taken that ensure a women's chances of developing this perimenopause symptom are reduced. The magnesium and potassium found in bananas make them well suited to this purpose. The perimenopausal symptom commonly known as hot flashes can be seem embarrassing, irritating, and interfering. However, women who predominantly eat a plant based diet are less prone to experiencing this sensation. This is because fruits phytoestrogens- the estrogenic compounds that bind estrogen receptor sites to cells - reduce the symptoms of estrogen deficiency. As estrogen deficiency is one of the main causes of hot flashes, increasing your intake of phytoestrogens, found in pumpkin seeds, is one of the most efficient ways of reducing the frequency or intensity of your hot flashes. In addition to being another great source of phytoestrogens, apples are high in fiber. Fiber has been shown to lower cholesterol and blood glucose, which means those who eat a fiber high diet are less likely to feel hunger pangs, and so less likely to experience menopausal weight gain. Also containing high doses of boron - a mineral important for the replacement of bone - apples are great for reducing the risk osteoporosis. Increasing your intake of all kinds of fruit and vegetables is key to maintaining optimum health and vitality, there are however, several fruits that menopausal woman should make a beeline for when attempting to relieve their perimenopause symptoms.